I was on a flight the other day and had a chance to take in the movie, “First Man”. I had a few opportunities in the X-15 to observe the atmosphere. It was so thin, such a small part of the Earth, that you could barely see it at all. And when you’re down here in the crowd and you look up, it looks pretty big and you don’t think about it too much. 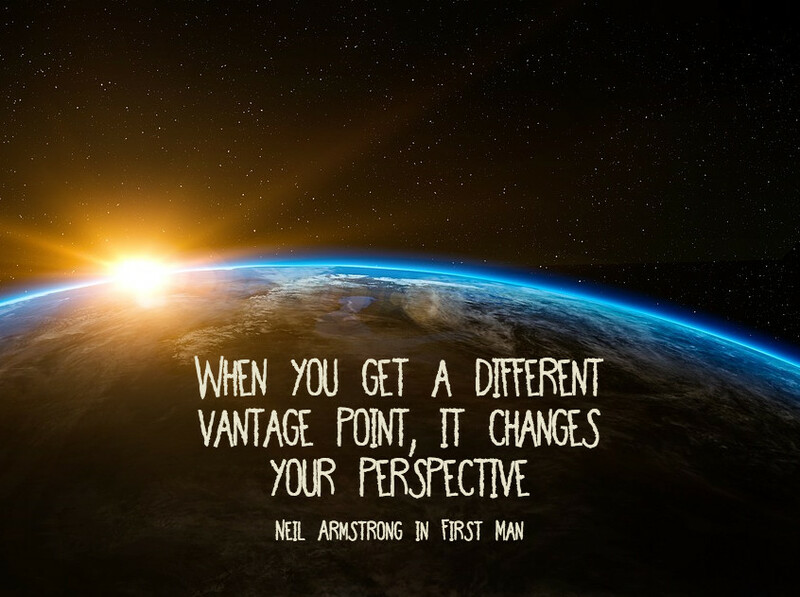 But when you get a different vantage point, it changes your perspective. I don’t know what space exploration will uncover, but I don’t think it’ll be a exploration just for the sake of exploration. I think it’ll be more the fact that it allows us to see things that maybe we should have seen a long time ago, but just haven’t been able to until now. Watching the movie had me contemplating in humble fashion how relatively tiny earth actually is. I remember contemplating about how silly it is that us humans can make such a big deal out of triflings. We share this tiny dot in the universe together. We are so much more alike than different. How quickly we use our differences as reasons to divide and hate. Why can’t we all play nice in the sandbox that we share together? Then the shootings in New Zealand happened yesterday. And suddenly it wasn’t silly at all anymore. The level of hate that is stirred, shaken, emboldened and encouraged amongst us is so very, very wrong. For someone to find enough inflammatory information to foment such hate seems unimaginable. I wonder what would happen if more of us couldn’t get a perspective check. If we could all better understand that now, more than ever, we do better to recognized that people that seem different than us may not be so very different than us at all. In the stillness, they gathered to contemplate, think, and worship–to centre themselves before the Creator–and then the shooting started. In their most vulnerable moments they were killed. May we all gather in stillness, to contemplate, think, and worship–to centre ourselves before the Creator–and ponder what we can do to help others in this world feel included, to challenge hatred with love, to speak civilly to those who foment hateful rhetoric, to get to know others that seem different to us. And in the knowing, we may find that we are not so very different from each other after all. Maybe we should have all seen it long ago. But in our vulnerability, maybe we will have another chance to see it now. We may not get to space ourselves, but we can learn from others. May it not take so very much longer for us as a human race to decide it makes sense to develop a more wholesome perspective.